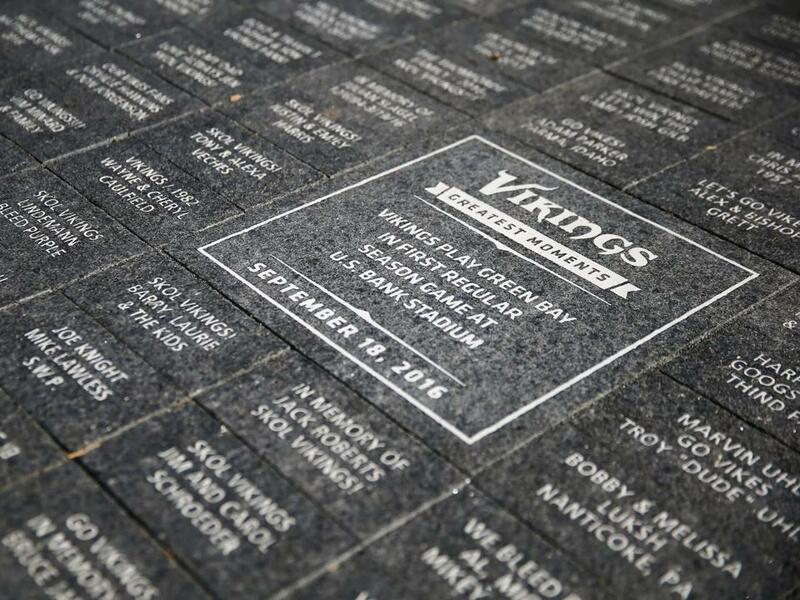 The Vikings partnered with the Minnesota Sports Facilities Authority (MSFA) to launch a Legacy Bricks program as part of the new stadium. 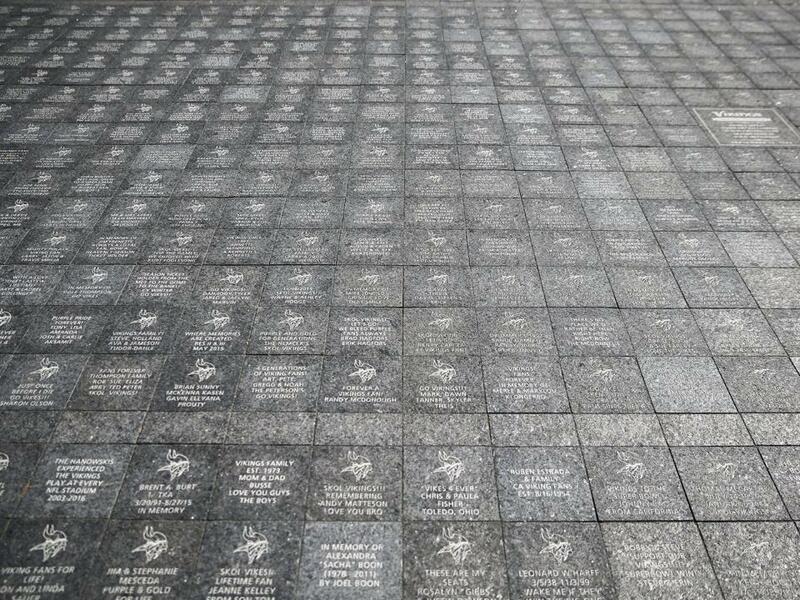 Fans were able to etch their names into bricks that will be placed near the five pivoting glass doors in the nearly three-acre west plaza. I am a Die-Hard Vikings fan that lives in Southeastern Wisconsin (AKA Packer/Bear Country). I purchased this brick to show support for the team and their decision to build a new stadium. My wife and I just had our first child (Eleanor), and we really look forward to attending as many games as possible and getting to see our brick at the stadium over the years to come. The brick is a sense of pride in our favorite team, our new and growing family, and the memories we will build as a family. 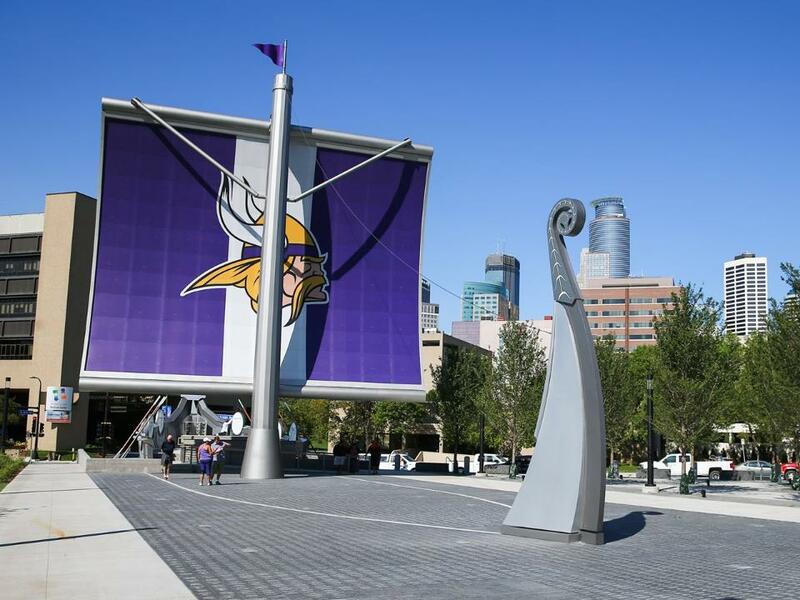 I have been a Vikings fan my entire 48-year-old life. I learned it from my mom and dad early on. 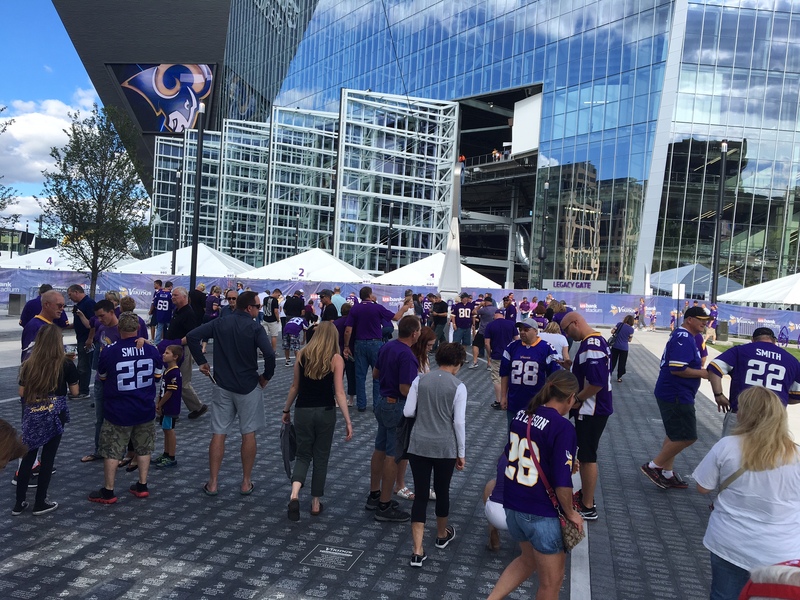 I remember those purple people eaters and those Super Bowls where all my brothers and family got together and routed for the Vikings. Those were great times and wonderful family memories that I will cherish forever. I have three kids that are at an age where they understand football. I want to keep the tradition of the family bonding watching the Vikings. 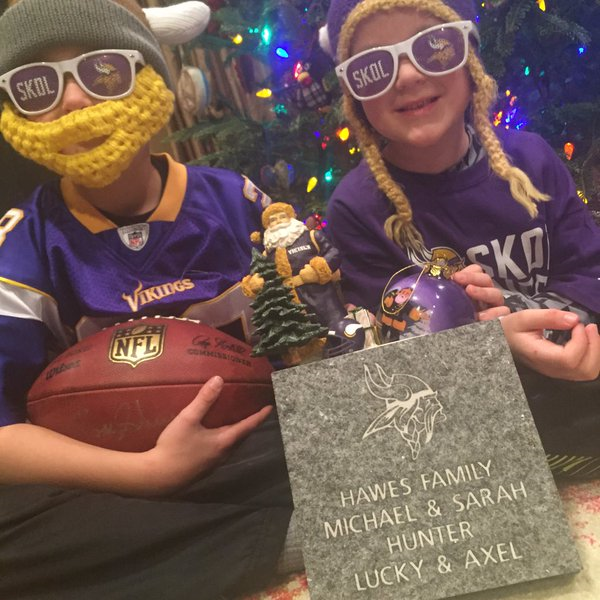 Win or lose we will be Vikings fans knowing we will have that family bonding time and maybe someday to see a Super Bowl win!!!! 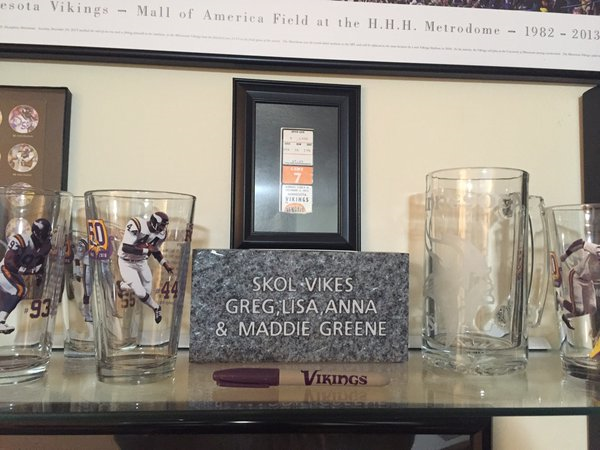 When my kids have their own kids they can visit the stadium and see their names and age to help share the heritage of being a Vikings fan!!! I love my dad so much. He is absolutely the most wonderful man in the world. He loves his grandchildren and spoils them whenever he can. At 60 years old, he is still working 6 days a week and he doesnt get much time for himself. However, during Viking`s season, I know he will take every Sunday to meet some friends and watch the game. It is the only time he makes solely for himself. I love that he has that time. I hope this is the best father`s day gift he could ever ask for. I have been a Viking fan my entire life. Through all the thrills and heartbreak, it’s been a fun ride. My wife and I were blessed with our first child, a son Asher, in January. 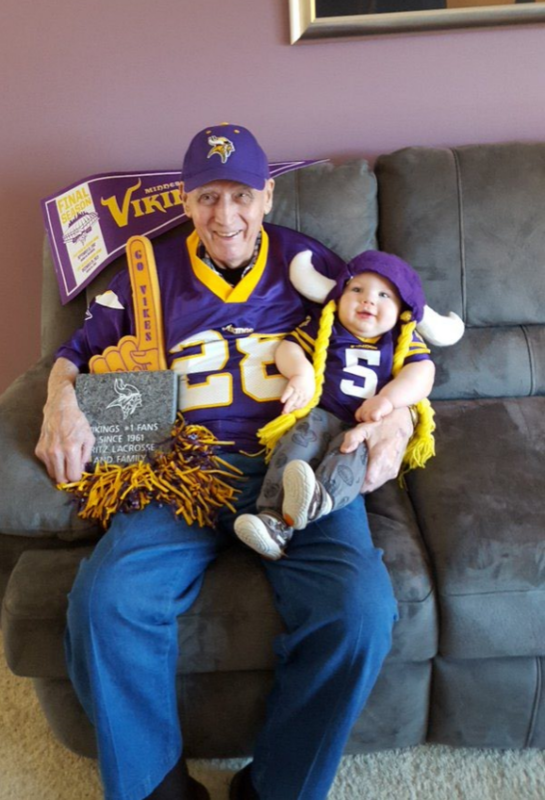 Even though he doesn`t realize it yet, he is a huge Vikings fan! 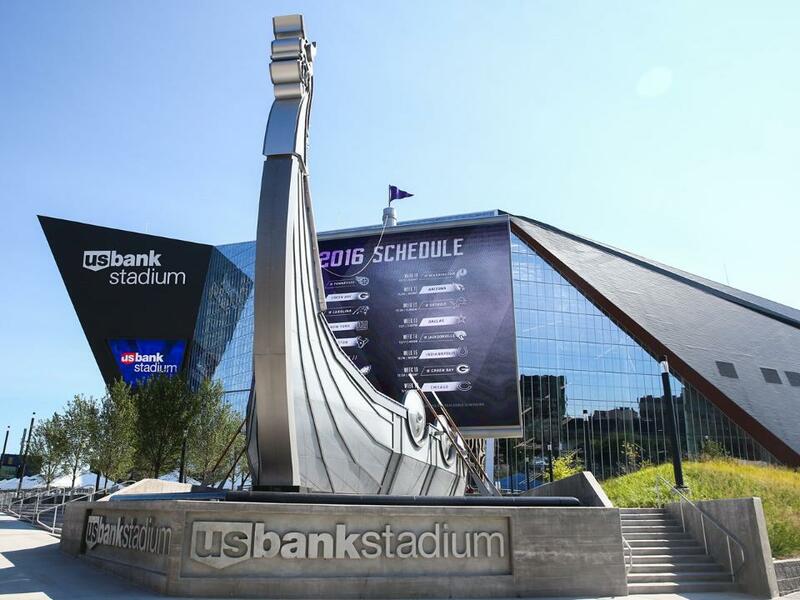 With the incredible US Bank Stadium opening the year he was born, I could think of no better way to commemorate both new beginnings! 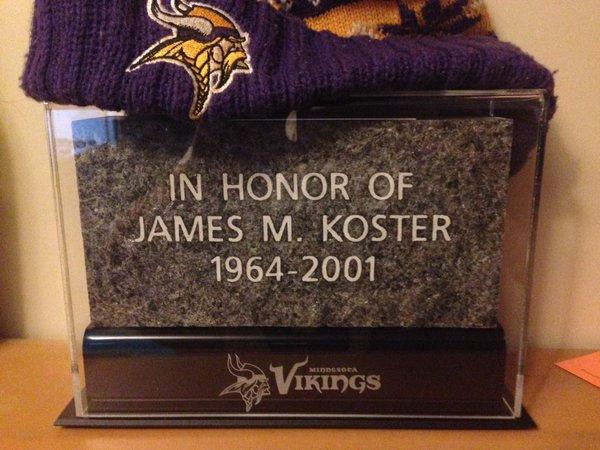 I purchased a Minnesota Vikings Legacy Brick for my brother Josh. Even though we live in California, he has always been a die-hard Vikings fan. Now that the new stadium is being built, this is the perfect opportunity for him to be part of the Vikings legacy forever! I`m excited to see what he chooses as his inscription and can`t wait to see the replica when it arrives. This brick is in honor of our brother, son, uncle, brother in law, Godfather and best friend. Taylor unexpectedly passed away on June 10, 2015, at only 27 years young. My parents grew up in Northern Minnesota before making the big move to California--this was back in the 80`s. 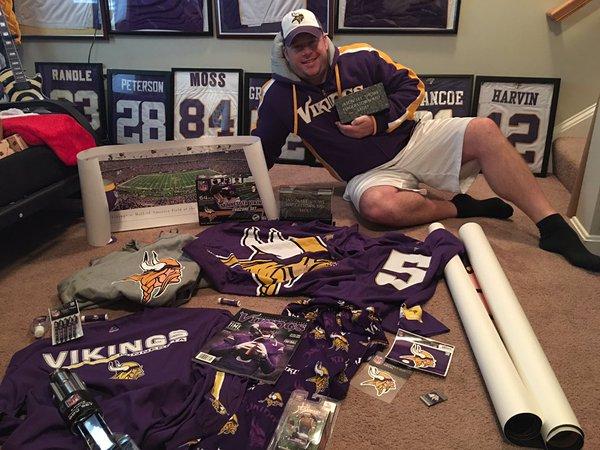 Just because Taylor grew up as a "Cali" boy, that didn`t stop him from being that die-hard fan for every Minnesota team--every sport! My brother was the biggest Minnesota fan. He knew all the players, coming and going as well as every part of the Minnesota Vikings history and possible future. The best way to describe my brother Taylor is, he was a "simple man". 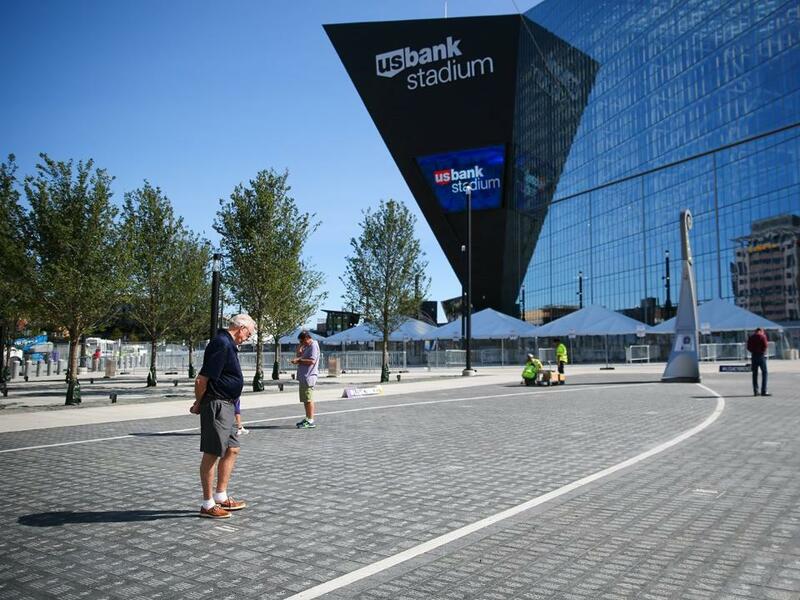 He had few things on his bucket list and the first one was all he talked about--attending a football game in Minnesota, and especially at the new stadium. Let’s not forget how many times he spoke about Mr. Adrian Peterson and how he was the best player ever to play in the NFL. Taylor would have done anything just to shake AP`s hand, let alone see a live game with him playing. This brick represents my brother in so many ways, but to know he gets to be a part of that new stadium means the world to us, and Taylor. We want to thank you all from the bottom of our hearts that you`ve helped make my brothers dream come true, and my family now gets to watch every home game and smile knowing Taylor is there. Thank you!